The Harbour Wicker Outdoor Dining Chair has classic good looks, contemporary styling and a relaxed vibe making it a delightful choice for your outdoor dining space. 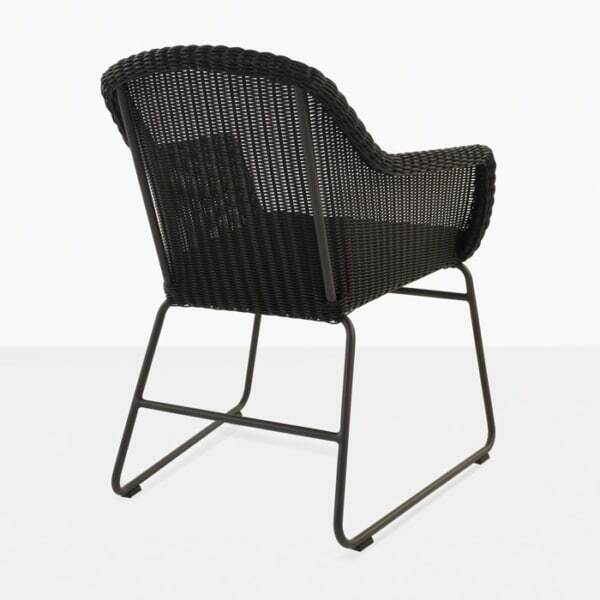 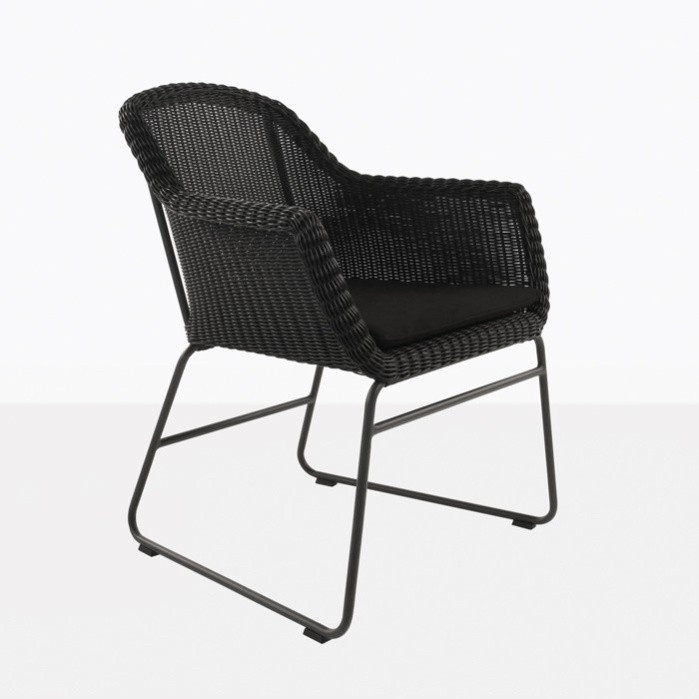 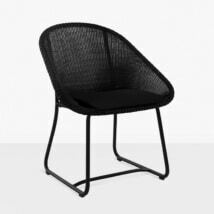 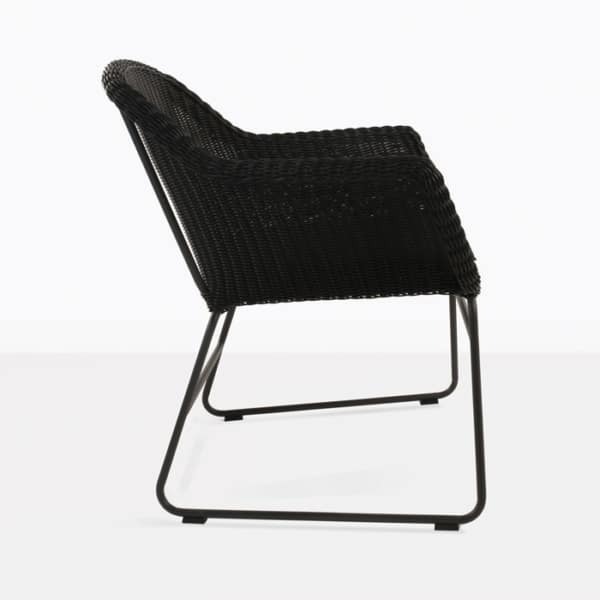 The traditional wicker weave is striking and modern in solid black. This outdoor dining chair is made with exceptional materials that are perfect for outdoor use. 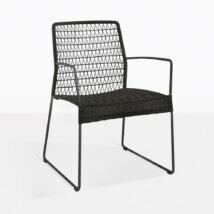 The powder-coated aluminum frame is lightweight and easy to move. 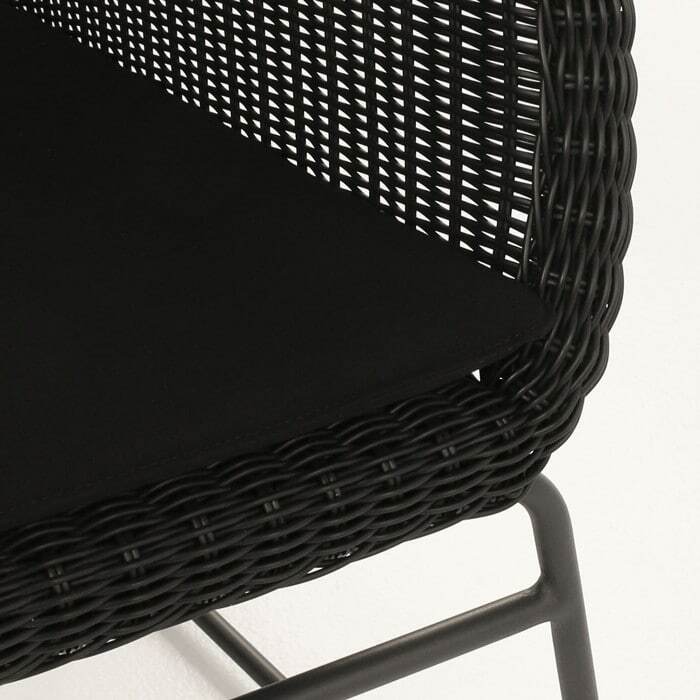 The chair has a slightly angled back, ample seat and is topped with a Sunbrella® cushions to ensure a relaxing dining experience. 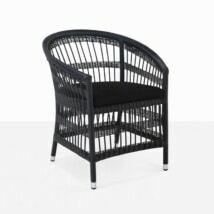 W24.5" x D27" x H33.5"
At Teak Warehouse you can choose any table and chair combination that you like. 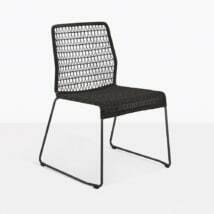 We love the Harbour Wicker Dining Chair with our a-grade teak dining tables, or create a modern look with our selection of raw concrete dining tables. There are so many choices! 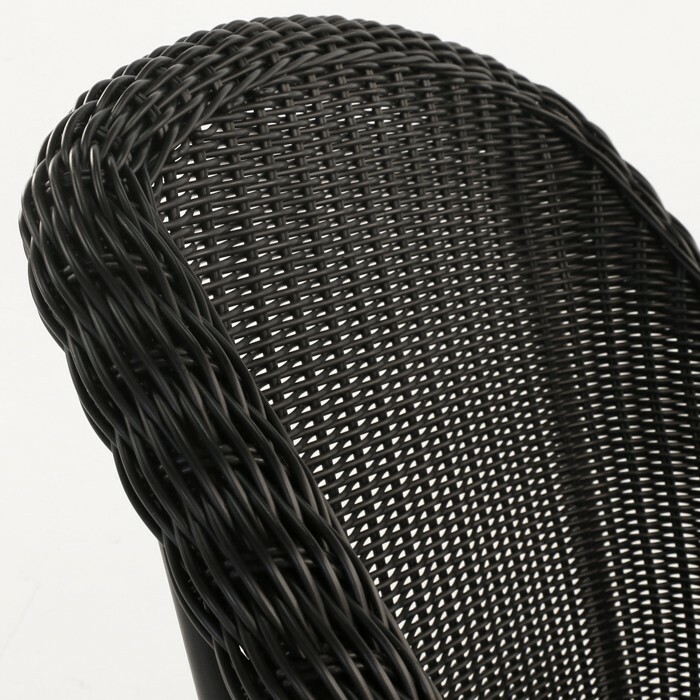 Visit our showroom or call today for more information.